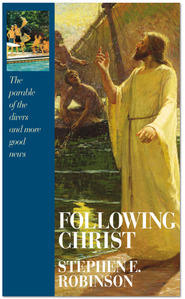 Missionaries are taunted with it; investigators and recent converts are challenged with it; lifelong members are often puzzled with it — the charge that Mormons are not Christians. Unless we understand the basis for the charge, we are not prepared to deal with it. 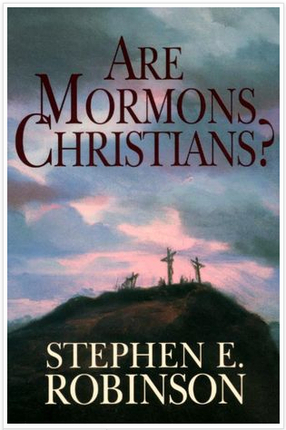 This book explains each of the arguments used against Latter-day Saints, and demonstrates beyond dispute — using non-LDS authorities — that these arguments are based on false premises. 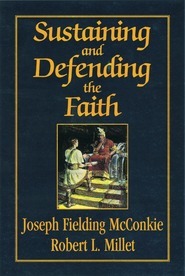 The definitive work on the subject, this book is a must for every LDS home. Living out of Utah, I have been accused of not being a "Christian" so many times. My family has been excluded from play groups, co-ops, turned away from private schools, etc. because of our LDS beliefs. It's continually frustrating and perplexing. I can't believe it's taken me this long to do my homework so I can understand where these accusations come from. S.E. Robinson - THANK YOU for writing this book! I have my teens reading it too and they also LOVE it. What a relief for my oldest daughter who has been particularly badgered by the other "Christians" in our community. She feels like she will be better prepared for her mission after reading your book. Thank you again! Bravo, Brother Robinson! An excellent book for members and non-members alike. Too many members don't understand that we are saved by grace and that we do good because of our covenant with our Lord, Jesus Christ. Too many non-members have to realize this, too, because they simply don't know what we believe or that our Jesus is THE Jesus of the Bible. Thanks for the great book! 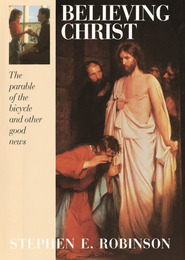 Much good info but best (needed most frequently) is at end, in chapter 8, "How are we saved?" - by grace, not by the works of the Mosaic Law rituals.